I know I haven’t posted for a few days and I know that my series on my journey with Jill to “My Custom Homestead” is not complete. I guess you could say that the “simple life” here at the ranch has been anything but simple lately. It’s been more like a juggling act. I’m sure you have times like that too! Whenever I start to feel that way, the “logistical” answer for me is to create some more notebooks. I was raised on notebooks! I grew up in a school that taught from the principle approach which places a heavy, and I mean heavy emphasis on notebooks. It’s a good thing for me that notebooks are a part of my heritage. HA! They help me organize my life into projects, into segments, and at least attempt to keep the paper monster under control. So right now, on top of the amazing ranch notebook that I’ve been building while journeying towards “My Custom Homestead” – I’ve gone ahead and created notebooks for these other projects that I’m currently juggling. 3. A Notebook for: The Artios Home Companion Series – the home education curriculum that previews in early May and is available early June. 4. A Notebook for: Fiddler Jr.
Notebooks saved my life and my sanity….or what was left of it. There is something about having a notebook that contains all of the information necessary to work on a project….to record all my thoughts and ideas on that project….all the correspondence for that project etc. I can open up the project at the time appointed to work on it and then close it up all nice and neat and put it up on a shelf until the next time. 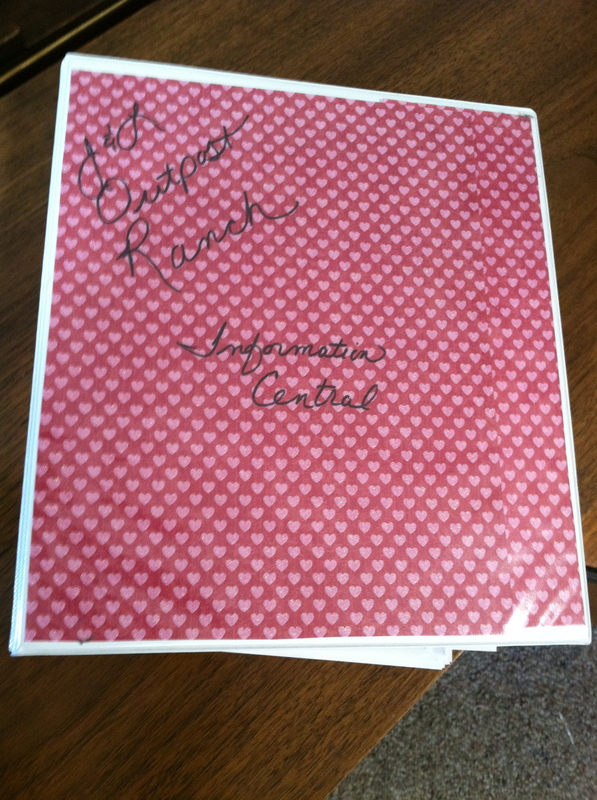 No papers strewn everywhere…just a nice neat notebook, with a custom cover design to match the project. Ahhh….notebooks! Now, if only all my dirty dishes would go in a notebook that I can close and neatly put up on a shelf! Goodness, I didn’t know you were with Heart of the Matter. How do you have time to do all you do? I love notebooks too. I’m making a real-paper one with a 3-ring binder and several digital ones with Evernote. Most of mine are paper notebooks. I use my computer ALOT but there is something about being able to touch and feel the parts of a project…plus, my eyes hurt after using the computer for too long! HA! Must be getting old. Tell me more about Evernote when you get a chance.